Whether you are taking on your first role as a manager, swatting up for a management position interview in a new business, or making the move from functional to general management, you will need to demonstrate that you understand the wider concerns of the business. As well as dealing with the day to day issues of your team you it is essential to rise above these parochial concerns and use that knowledge to engage, impress and perform. But where do you begin? What are the goals of your organisation – its main aims, including why it was established, what it expects to achieve and whose needs and interests it intends to serve? Who owns your organisation – who established it, who provides the main financial backing and who takes responsibility for its direction? What sector is your organisation in – describe the industry or industries it is part of and other organisations in that sector, including competitors, partners, collaborators, or agencies? How big is your organisation – staff numbers, size and number of premises, and in comparison to others in the sector. On what scale does your organisation operate – the number and type of customers, and their geographical spread. What’s the scope of your organisation’s activities – the breadth and range of products and services it offers. Then we ask them to examine the environment in which their business exists. There a number of tools for doing this, but we use RESPECT analysis. An acronym for regulatory, economic, social, political, environmental, competitor and technological factors. Regulatory/Legal factors refer to national employment laws, international trade regulations and restrictions, monopolies and mergers’ rules, and consumer protection. This is particularly important at present with the regulatory uncertainty surrounding Brexit and in what form British access to the single market may continue. Economic factors represent the wider economy so may include economic growth rates, levels of employment and unemployment, costs of raw materials such as energy, petrol and steel, interest rates and monetary policies, exchange rates and inflation rates. Socio-cultural factors include demographics, age distribution, population growth rates, level of education, distribution of wealth and social classes, living conditions and lifestyle. An important consideration in this dimension is ethics and how individuals and organisations act when faced with moral dilemmas. In the business environment this includes corporate social responsibility and the growing interest in social purpose within business. Political factors refer to the stability of the political environment and the attitudes of political parties or movements. This may manifest itself in government tax policies, or government involvement in trading agreements. In short, how business friendly is the political climate? Environmental factors focus increasingly on the issue of sustainability, with businesses beginning to see sustainability as a competitive advantage, not simply compliance or a way to reduce costs. The forces driving this are resource scarcity, which threatens the viability of some businesses; demand from customers for eco-friendly and healthy solutions; regulators demanding greater sustainability from companies; and employees, who want their companies to care for the environment. 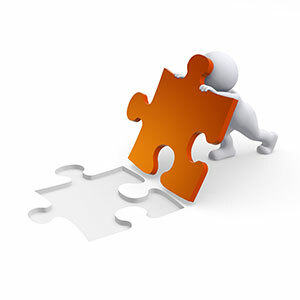 Competitive factors provide an assessment of the strengths and weaknesses of current and potential competitors. Competitors may be organisations in a related product/market; organisations using related technologies; organisations already targeting your prime market segment, but with unrelated products; organisations from other geographical areas with similar products; or new start-ups, perhaps organized by former employees and/or managers. Technological factors refer to the rate of new inventions and development, changes in information and mobile technology, changes in internet and e-commerce or even mobile commerce, and government spending on research. The tendency here is to focus on technological developments in digital and internet-related areas, but it should also include materials development and new methods of manufacture, distribution and logistics. Thinking broadly and deeply about their business helps our leadership delegates to think more strategically and align their team purpose with broader organisational goals. Hopefully, this analysis will help you do the same and ensure that you rise above the other candidates.